The way Charlie Montoyo managed the Blue Jays bullpen on opening day made me think of John Gibbons fondly. Yesterday was Blue Jay manager Charlie Montoyo’s first game managing at the Major League level. It was bittersweet for him, as the Blue Jays lost 2-0 at the hands of a late-game double and home run by the Detroit Tigers. While I am reticent to pile on a manager in his first game, there was one bullpen decision that made me think of John Gibbons and the understated, underrated way he managed bullpens. In the bottom of the 7th inning, with Blue Jay starter Marcus Stroman nearing 100 pitches, Montoyo called to the bullpen to get two right-handed relievers up and warm: Joe Biagini and Javy Guerra. Both got hot, and Biagini came in the 8th inning to strike out the side while Guerra sat for the rest of the game. Blue Jays closer Ken Giles came in to pitch a scoreless ninth. Montoyo then called on Daniel Hudson, a pitcher the Blue Jays plucked directly off the scrap heap days before. Hudson made a few mistakes, allowing two runs before Tigers closer shut down the Blue Jays in the bottom of the 10th for the win. While I can’t say for sure, I have a feeling that Gibbons wouldn’t have warmed up Guerra at the same time as Biagini only to burn him. I understand why Montoyo might have done it – Guerra could be used as an insurance policy for Biagini. After all, Biagini’s track record is not exactly good. But if that’s the case, why use Biagini in a high leverage situation at all? If Montoyo isn’t confident using Biagini in that role, he should have went straight to Guerra in the first place. Had Guerra been saved, he could have been used instead of a pitcher plucked off the scrap heap days before. Hindsight is, of course, 20/20. And we’ll never know if Guerra wouldn’t have been lit up himself had he pitched the 10th inning. But from watching Gibbons manage for nearly 10 years, I grew accustomed to seeing impeccable bullpen management. Gibbons also has another strength: he is a savvy handler of relief pitching, with former reliever B.J. Ryan once claiming that in his first year under Gibbons he only got up once in the bullpen without getting into a game. 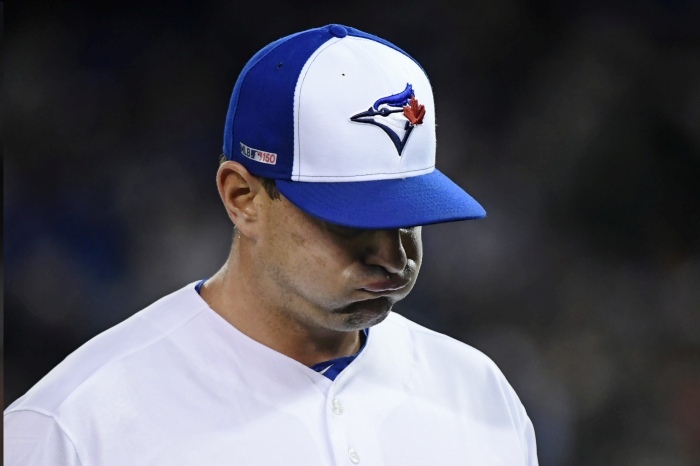 – Jeff Blair, Return of the most underrated manager in Blue Jays history, November 20, 2012. Of course, there are certainly going to be factors regarding managerial decisions that fans aren’t privy to. Montoyo may have had many good reasons for handling the bullpen the way he did in game one. The health of his relievers, matchup data, or even pressure from ownership to utilize Biagini (?) factor into the way Montoyo manages his bullpen. Guerra is six of one and Hudson is a half dozen of the other. 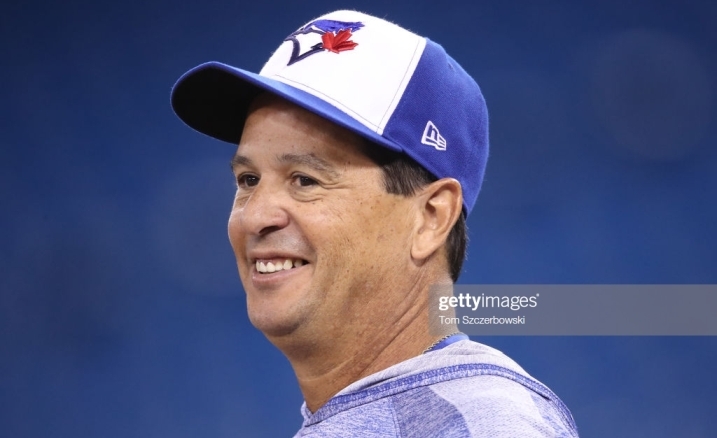 Basically, what I’m trying to say is this: while I like Charlie Montoyo and I’m happy he’s managing this team – I miss John Gibbons and am reminded how gifted he was at managing a bullpen. Remember last year’s first game, Gibby took Happ out to bring in Axford with 2 outs and Axford gave a double to bring in a run for the Yankees, was that horrible bullpen managing lol. At least Charlie got two relievers who had scoreless innings before another one gave up runs. Typical media, if something goes wrong second guessing everything like as if Gibby would have willed 7 shutout innings from relievers. I suppose Gibby would have somehow got a run across the plate lol. I don’t see anything actually wrong here. Montoyo warmed up Guerra without using him. I haven’t seen anyone arguing that it is good to warm up pitchers without using them. Is there a good argument? He’s putting John Gibbons on a pedestal without any evidence. The anecdotal evidence presented comes from BJ Ryan’s experience. BJ was appropriately babied due to the significant investment in him and his injury history. This was a stupid blog post by somebody grasping at straws of material. 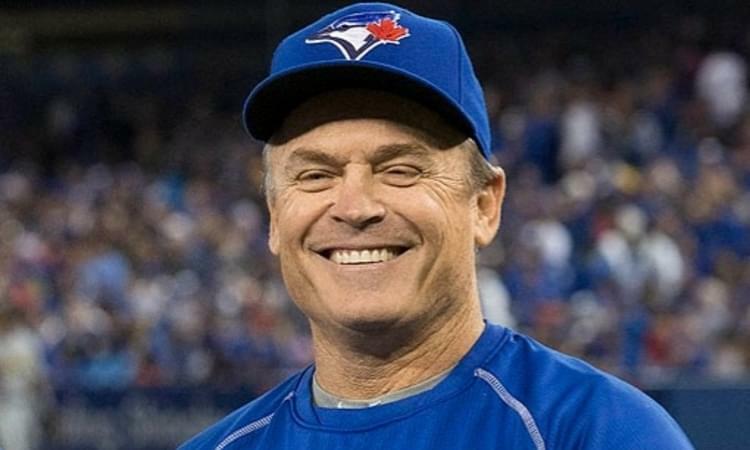 John Gibbons warmed people up without putting them in all the time. It’s a natural part of the game. It’s a natural part of the game but something that can be accounted for and considered. No? If BJ Ryan’s accounts are correct, it isn’t anecdotal if this routine played out over a season in which he plays 70 or so games. If Ryan only was warmed up once without going in, that isn’t anecdotal and certainly isn’t “all the time” like you say (of course I am taking Ryan’s word for it). The writer here has quoted Atkins on his ability to manage the pen and supposedly has data to support that. I agree that it is a nuanced and tedious argument and does put Gibbons on a pedestal but perhaps rightfully when it comes to bullpen management. It is possible Gibbons managed the bullpen better than Montoya will. MopUpDuty.com T-Shirt Store via Spreadshirt. 100% of profits donated to JaysCare! 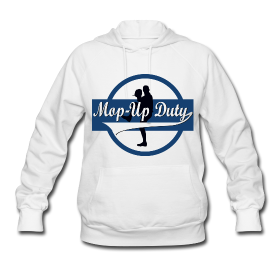 Mop-Up Duty is a baseball-focused blog with a particular affinity toward the Toronto Blue Jays.